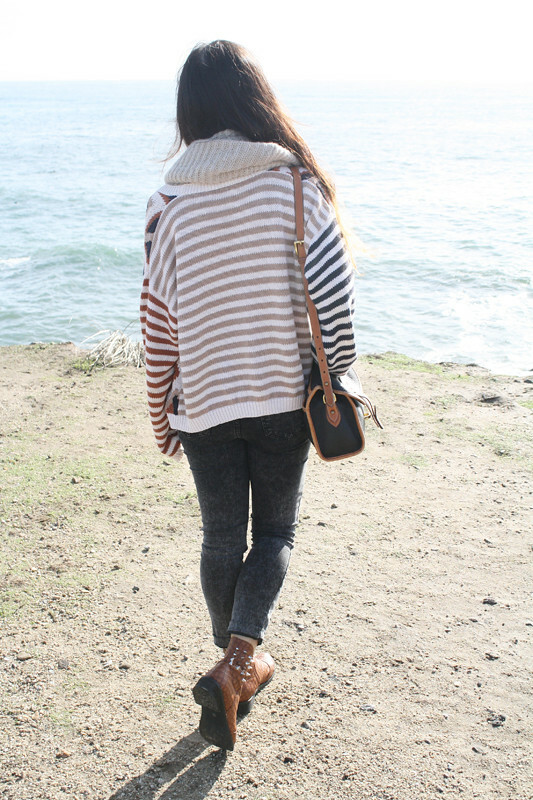 It is so great that the weather is finally cold! I enjoy bundling up in knits and pile on scarves. I am a sucker for sweaters so I was especially thrilled when Atelier Shop gifted me this vintage sweater with geometrical pattern on front and three different colored stripes when you turn around! It is perfectly oversized too! I paired it with a simple lace top, high waisted acid wash jeans, a knit scarf, and my new favorite pair of boots gifted by VJ Style. 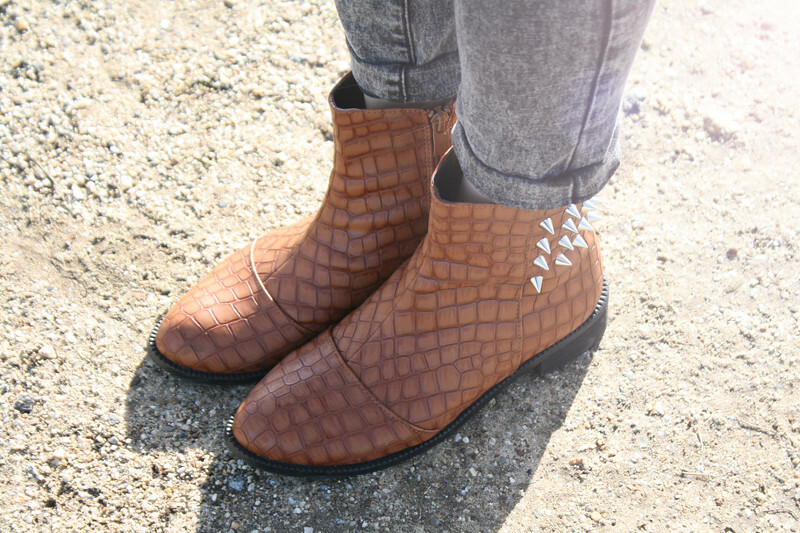 Crocodile print and spikes in the most classic shape... I am in love! Vintage patterned sweater by Ruff Hewn c/o Atelier Shop. Thrifted vintage lace top by Jaipur. High waisted acid wash jeans by Just USA from my work Sway. Cream knit infinity scarf from Hong Kong. 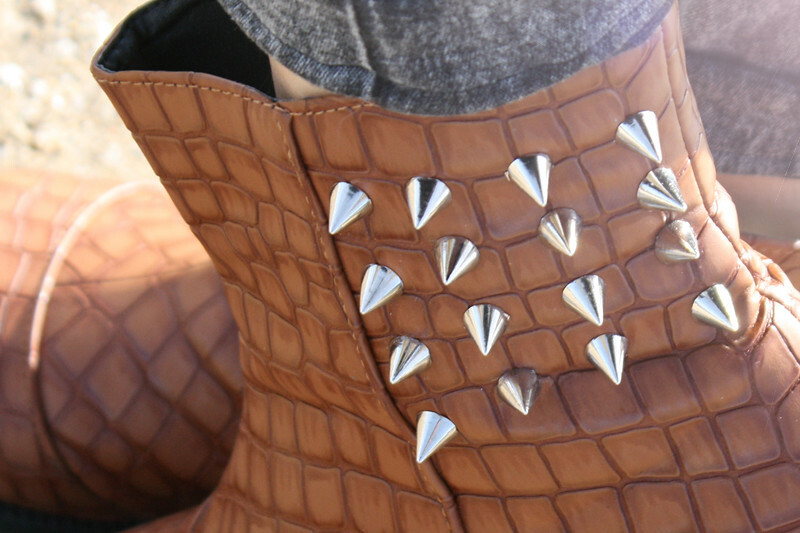 Crocodile spiked boots c/o VJ Style. Angular sunglasses from 80s Purple. Your jeans are perf. Love love love! 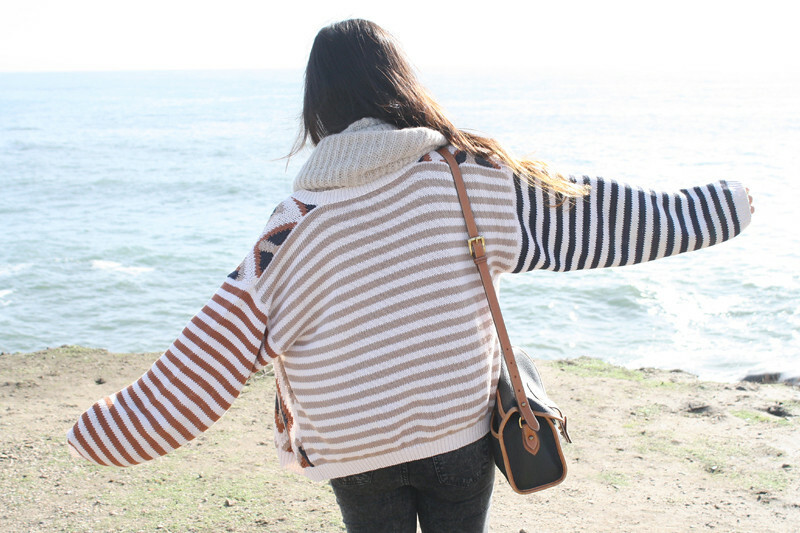 beautiful stripes- I love the contrast sleeves! You look so cute all bundled up. I love those jeans with the lace top and comfy cardigan. Your spiked boots are pretty awesome too! Love the studs and that fabulous lip color! You look adorable! I love that grandpa style sweater especially with that bag. Perfect for the fall/winter time. that is the coolest looking sweater ever!!!! love it!